When the young Wyoming-born painter, Jackson, came from California to New York in 1930, wearing his leather jacket and cowboy boots, he had already promised himself to become a bright star in the difficult sky of contemporary art. Those were the years in which his admired Picasso was imposing in New York, with a style despised by some and imitated by others. 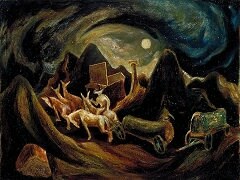 Years later, David Siqueiros explained his methods of mural painting to his disciples with new techniques for new ideas and the young Pollock listened to that – and with equal attention – to the mythological aspects of the old native culture of the continent that the Mexican master let hear. By then, Jack’s friend, Lenore, was attending Hans Hofmann’s painting classes – one of the great masters of abstract art first at Berkeley and then in New York – who would open the eyes of several generations of interested American artists. At her insistence the young man will visit some of Hofmann’s classes, but the impulsive ideas of the volcanic artist and the German teacher remained hopelessly irreconcilable. In those years America was also enriched with artists coming from an Europe at war: Chagall, Dalí, Léger, Mondrian, Breton, Matta, Zadkine, Onzenfant, Miró, were some of the many names that would leave a mark on the American present. Accompanied by the surrealist Max Ernst, Marguerite “Peggy” Guggenheim would also return to New York to open the gallery “Art of this Century”. 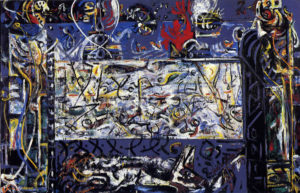 Pollock signed an exclusive contract with her and exhibited annually between 1942 and 1947. When Peggy moved to Venice, Betty Parsons continued her effective work as a gallery owner with equal success. America was at that time in search of a generation of artists who would give it the desired cultural identity that would distance itself from the inheritance received. The propitious moment of the victorious postwar period places America in a new historical epoch. 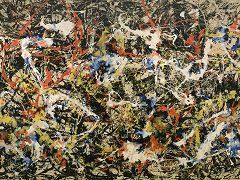 In a psychoanalytic sense came the crucial moment of “killing” its parents to “be itself” and doing tabula rasa with European artistic tradition which propels abstract expressionism as a typical modern American language and Jackson Pollock as the leader of the generation. Life Magazine shows him in 1950 with a rhetoric question: Is he the greatest living artist in the United States? 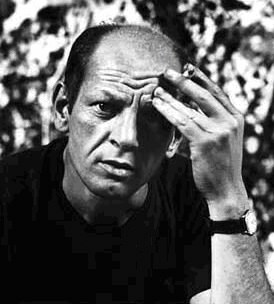 Hans Namuth’s photo and also the film of that year are still part of the legendary artistic documents of the twentieth century. He is the author of a new pictorial language. 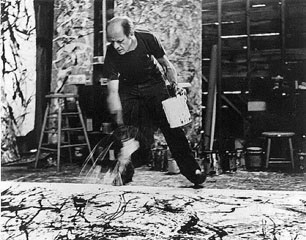 On the one hand we observe that Pollock will extend the traditional pallet to a floor full of cans with flowing matter, the brushes will be changed by short wooden slats handled with agile dexterity and the easel will become a great horizontal dimension (new habitat of the artist) where he will leave the strokes of color according to his body movement: a universe full of rhythms, without figurative description or immediate meditations. Everything is, nothing seems. Matter will become energy and turn into space. Painting is action. The solution of the painting becomes visible as a product of the spontaneous gesture such as a surrealist text according to the “écriture automatique” method. For his splash art they will call him: “Jack the dripper”. 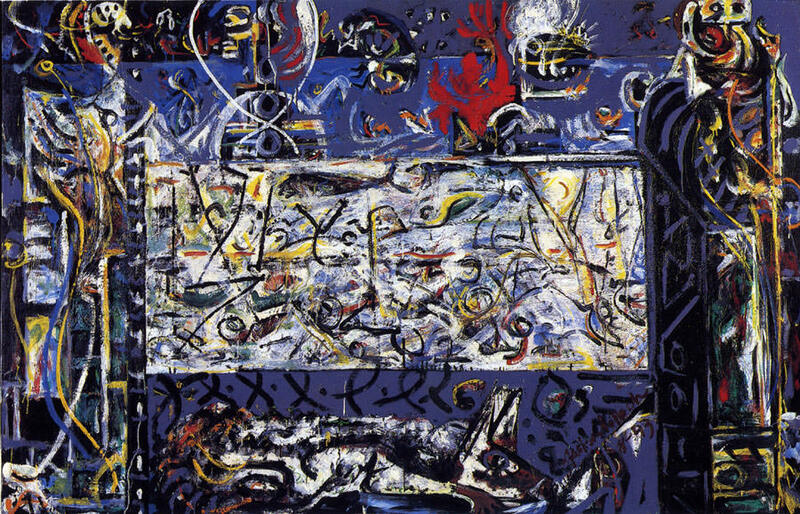 While painting there in a dance-like action on the canvas and, as spots appear on the canvas like stars in the Milky Way (which he himself will have seen well in the serene nights of East Hampton), he becomes the unique inhabitant of the cosmic space created, at least during the act of creating it. In order to recreate the genesis of his paintings we must come to memory the ancestral rites of the American Indians (which the artist admired). 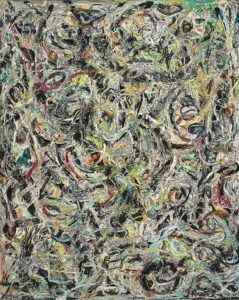 A critic of the time claims that these works have no beginning or end, Pollock feels flattered: that is precisely his vision of a pictorial space (almost) without limits. Unfortunately, the search for other limits and frequent depressions led him to drink too much and prevented him from working steadily, sadly pushing him to a premature death. 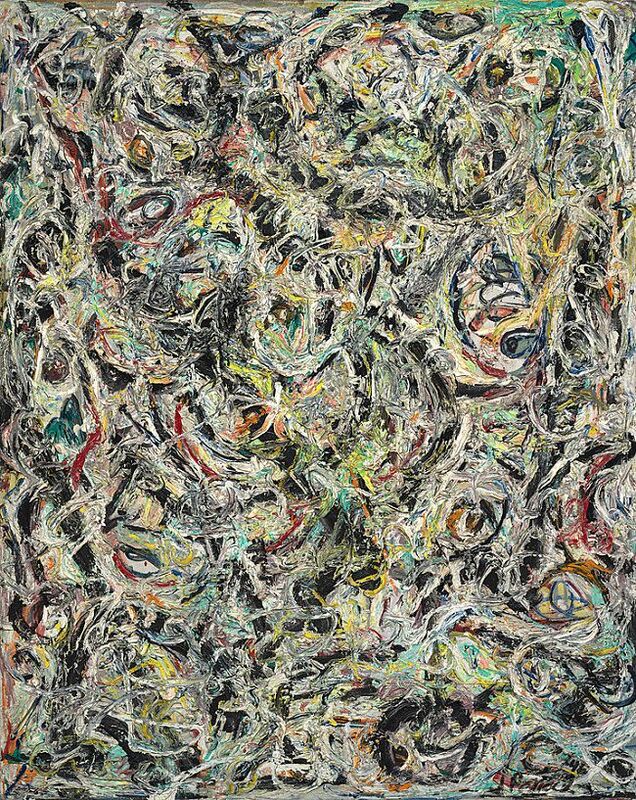 Lenore was able to separate herself from Jack’s personal style and became a solid American avant-garde artist of international weight: Lee Krasner. By the way: Jack could never come to know that that one day the MoMA decided to hang a large picture of him replacing one of almost the same size of his admired Picasso. Copyright 2016 to The Art of Collecting © All rights reserved. | Theme: Elegant Magazine by AF themes.